20 hours free On the first of July 2007 Sunnynook Preschool opted into the "20 hours free" Government Scheme. By doing this all 3 and 4 year old's receive a credit on their tuition “20 hour free”. Funding rates have been calculated on the very basic regulated standards which we exceed at Sunnynook Preschool. We are committed to maintaining a much higher standard of education than this minimum standard. This means that our operating costs for these "20 hours free" are not fully covered. As a direct result of this we do have additional optional charges. Tuition Cost 5 days $57.50 $57.50 $196.00 4 days $46.00	$46.00 $139.00 3 days $34.50 $34.50 $91.00 2 days $23.00 $23.00 $61.00	1 day $11.50	$11.50 $31.00 20 hours free has been deducted from the tuition fee Notice Two weeks notice is required if your child is leaving them Preschool. No refunds are given. Notice needs to be given in writing to the Head Teacher. Set Up We have a small set up fee per child to cover the cost of the portfolio for your child when they attend the afternoon program. Payment Tuition is payable at the beginning of the term for the term for the half day sessions that you are booked for at the Preschool. All Day tuition payment for the week is due upon enrolment, then by the Friday of this week and every consecutive Friday. Automatic payment forms are available at the Preschool. Tuition must always be kept one week in advance at all times. Work and Income provide a childcare subsidy to help pay for your Preschool fee costs if you qualify. You will need to make direct contact with WINZ to check your eligibility. Please check the levels available many people are unaware that they qualify. We can assist you with this. 2O hours free applies first, then WINZ subsidies will apply to the balance of the fees. The Preschool is open for school term holidays. You can choose if you wish to attend in these holiday breaks. We close for 6 weeks at Christmas and work in line with the local state school calendar. The Preschool is closed for all public holidays. Tuition is not charged for public holidays. The teachers at Sunnynook Preschool are committed to helping each child transition to the school environment. To build life skills by supporting social interactions, facilitating developmentally appropriate activities, encouraging independence and fostering self-confidence. Our goal is to ultimately produce socially and culturally conscious, empathetic and inquisitive children, well prepared for their foray into the primary school environment and life. The main focus is to support and encourage the child's emotional and social growth, accounting for the varied learning styles of children. As perpetual scholars of Early childhood Education, we select what we perceive as the valid aspects of a variety of theories to craft our own unique approach. We enjoy sharing our unique philosophy with parents because it works with children. Please don't hesitate to approach the Head Teacher and Teachers to discuss our approach in more detail. Behaviour management techniques used by Teachers include a variety of methods including, role modeling, praise, redirection, positive reinforcement and empathy discussions as well as removal of the child from the situation if the safety of the child or others is of concern. Behavior management strategies are based upon logical consequences, allowing the child to understand and internalise the repercussions of unacceptable and/or inappropriate behaviour. In order to maintain self-confidence, children are always allowed the opportunity for redemption (i.e. helping to repair an item, glueing a broken toy, or reorganizing an area). The Teachers work with the setting of appropriate limits (sitting at the table while eating, no hitting or snatching from others), which are explained and reiterated, to children when necessary. The preschool is at full capacity, we will maintain a waiting list of spaces both for the current year and the following school year. Current children followed by their siblings are prioritized on the list, and otherwise children are selected consecutively based upon their place on the list and their age. Choosing the best Early Childhood Service for your child and family is one of the most important decisions that you will make as a parent. It is essential that you ensure that you are making the very best educational choice for your child. At Sunnynook Preschool we believe that we can meet your needs and aspirations for your child by giving them the Right Start™ that will ensure their success in later life. We believe in the importance of working co-operatively with families, and their involvement in the learning process. We consider that there is more to teaching and learning than rote tasks, superficial understanding and skills taught in isolation. Our aim is to develop positive attitudes and dispositions towards learning and to encourage children to apply their knowledge and understanding over a diverse range of real issues, situations and settings. Focusing on children's strengths and interests. 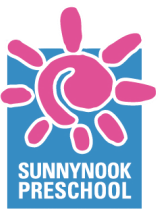 At Sunnynook Preschool we favour a holistic approach, providing an open learning environment and encouraging active, investigative learning within a context that is meaningful to the child. Children's early childhood education experiences are exceptionally important to us. The early years being the most informative years are absolutely essential in a child's ongoing development. Why Sunnynook Preschool? We provide the best for your child. We encourage you to visit, so please contact us to arrange a viewing time. (B.Ed, Early Childhood Teaching, Diploma of Teaching (ECE), Early Childhood Education and Teaching).